This might not be eLearning, and I'm not sure if it applies to corporate eLearning, but it is a pretty cool product. And I know corporate eLearning pros have a little bit, if not a lot, of geekiness inside. So, if you like to tinker with electronics or want your kids to discover a passion for electronics, then this Little Bits Starter kit might be just the thing for you last minute holiday shoppers. 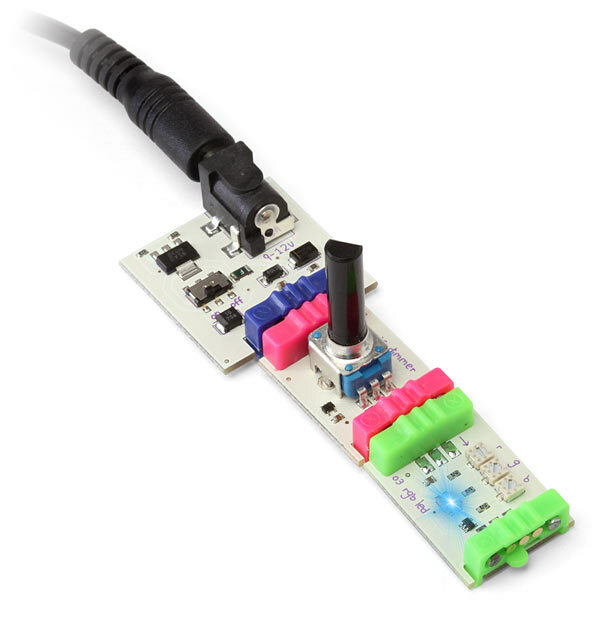 If you are already a fan of the Arduino then you'll love this for your kids. It's similar to the Arduino only easier to work with. The different circuit parts snap together with magnets and everything is color coded making it a great starter kit for kids, or even adults that don't think they have any technical skills but want to play with electronics. From a learning perspective I do have a concern that since it is SO easy to snap the parts together and make things work I wonder if kids will have the motivation to dig deeper into the understand of WHY it worked. Just because you can make a light turn on and off with a switch by placing magnets together, doesn't mean you truly understand the completion of a circuit. I don't want to knock this because I LOVE IT, but I'd like to hear how someone has integrated this into a classroom or other learning setting. You can buy the starter kit for $89 at the Little Bits Store. A related project is http://www.usfirst.org/. Showing some of their videos might produce the motivational nudge needed to push for deeper understanding.